Plaid + deep cool tones + a fun shoe = drool out of my mouth. Casual, but not your average casual. Fall is approaching, although some days feel more summery than others, and I'm getting more and more excited to pack up the tank tops and pull out the sweaters. This is a good transitional outfit. 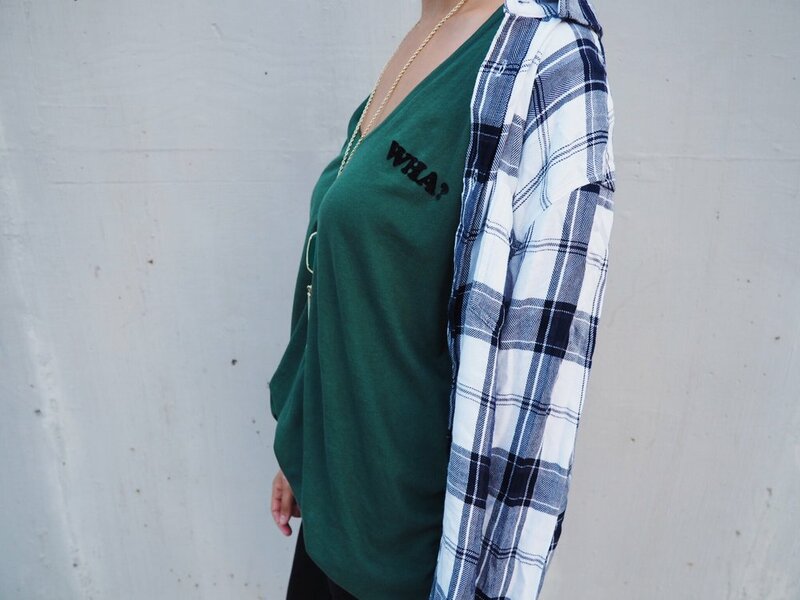 A tee for the warmer part of the day, and a flannel for when it cools off later. Also, no boots yet. It's definitely not cold enough yet. This shirt by Wildfox had been calling my name for a while, and I finally got it. I say "wha?" all the time, so I obviously had to have it. Plus the color is amazing and it makes my eyes look like Emerald City. 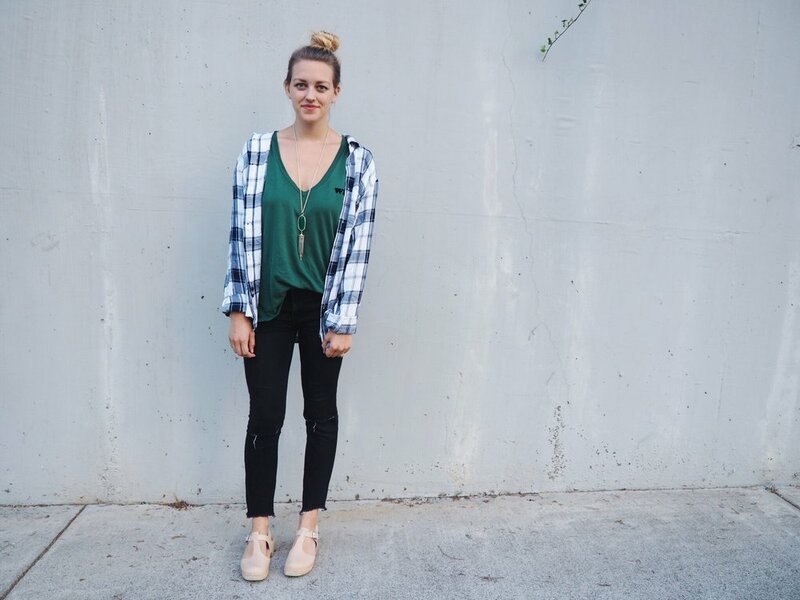 This plaid shirt is by Rails, and it's actually my husband's (stole it. whoops. ), but you can't even tell! At the bottom of the post I linked some women's shirts by Rails because not everyone has a husband to steal clothes from. This necklace is a long time favorite of mine, by Kendra Scott. Again, that color tho. My jeans are Free People and my shoes are Lotta From Stockholm.